We will beat any like for like quote ! - Details! Welcome to Wood You Floor LTD, a leading supplier of wood flooring in North London, St Albans and the rest of Hertfordshire. 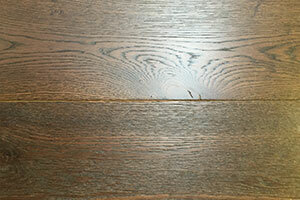 Solid wood flooring makes the perfect choice for those looking for modern yet stylish flooring throughout their homes. Here at Wood You Floor LTD, we are pleased to offer a wide range of wood flooring options to both homes and businesses in the North London, St Albans and Hertfordshire areas. If you are considering solid wood flooring for your home; we would invite you to give us a call today on 01727 833 300 to discuss your needs and requirements. Having solid wood flooring installed in your home means that you will spend less time hoovering and cleaning and more time relaxing in your fabulous looking rooms! 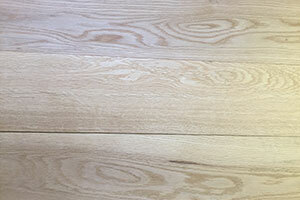 We specialise in supplying solid wooden flooring in North London, St Albans and Hertfordshire in the form of European Oak which is harder, more durable and longer lasting than other woods. We are pleased to employ a team of specialist installers of wooden floors in North London, St Albans and Hertfordshire and we offer completely free, no-obligation quotes to those in these areas. If you are looking for new flooring in your home and are based in the London, St Albans or Hertfordshire areas, think solid wood flooring and think Wood You Floor LTD! 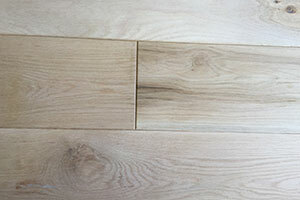 Wood You Floor can measure, advise, show you wooden floor samples, order and arrange delivery to your home. 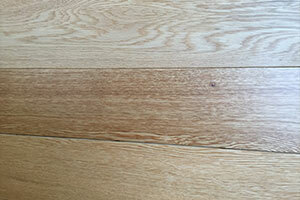 We have a large selection of floors to suit all budgets. The flooring can be laid on most types of substrate flooring which is clean, dry and level,sand and cement screed, timber flooring boards, chipboards, ply etc. Professional flooring contractor will check the site condition prior the installation. It is vital to check the moisture content of the concrete/screed. Then screed must be levelled to a tolerance of no more than a 3mm gap. If installing a new timber flooring on existing floor boards make sure that old floorboards are secure and then its recommended you lay the new flooring opposite direction to a existing floor to stabilise any subsequent movement within either timber. We recommend that a professional flooring installer is contracted. Under cut the bottom of door frames, wardrobes etc. to allow for the floor boards to fit under it. Always leave a full 15mm expansion gap around the edges. Open 4-5 packs and ‘shuffle’ the boards to ensure an even distribution of the colour and character.The industry standard of 5% minimum waste shall apply for defects and cutting. You must use a professionally formulated specialist wood adhesive that is flexible and causes no swelling of the wood. Always keep glue off the surface area of the boards. Sometimes floor boards can be fixed directly onto joists or battens. This is done by nailing. The joists and battens should be sound rigid and level with moisture content no greater than 12-14% at the time of fixing the solid floor.Finishing off- the last board of the first row should be fitted using a puller bar ensuring 15mm expansion gap at the end. All perimeter gaps should be covered with skirting boards or cover strips at thresholds. Prevent water being walked and leaked onto the floor at all times. When cleaning use cleaning products such as cleaner spray or concentrated cleaner and wet but free from excess water mop or just wood floor spray mop. Immediately remove stains and spillages. Protect your floor by using good quality felt pads under all furniture. We will beat any like for like quote !